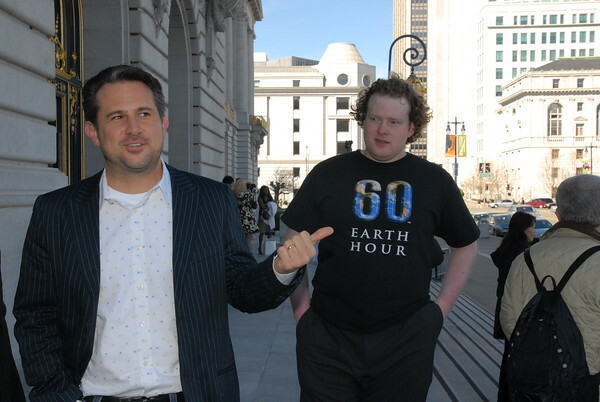 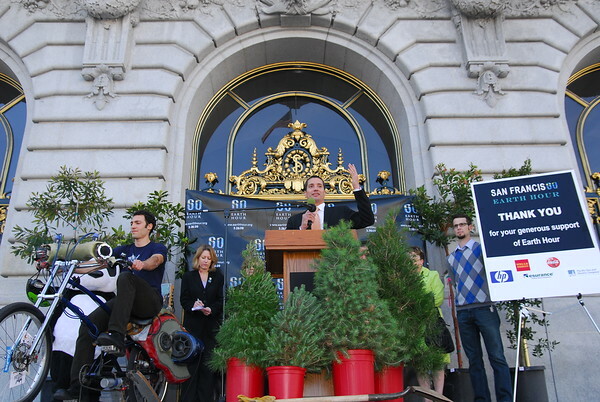 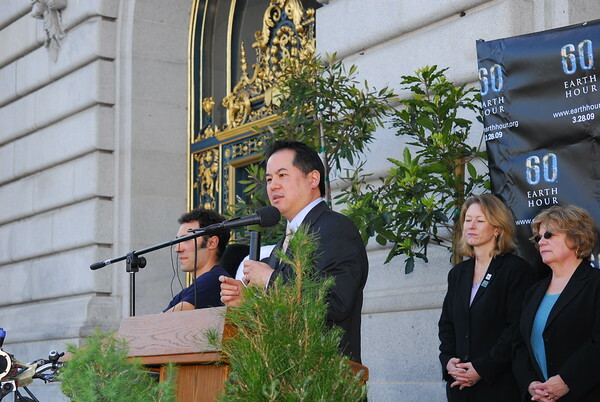 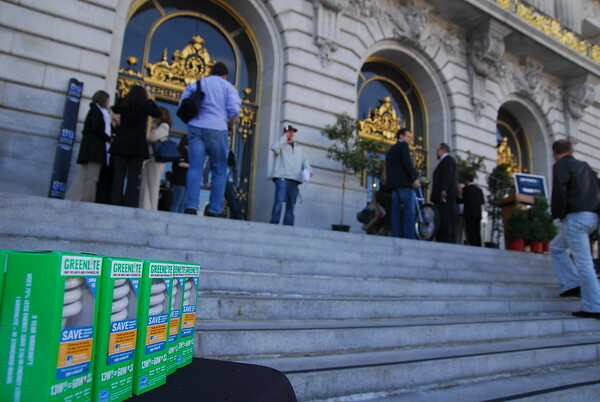 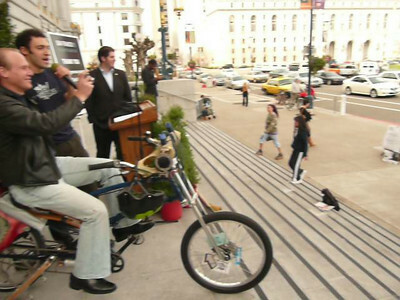 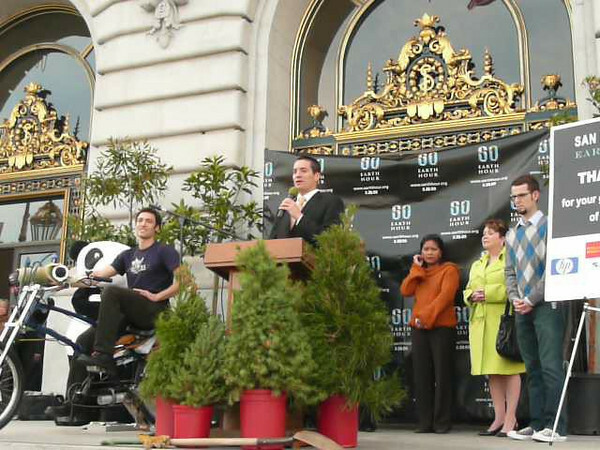 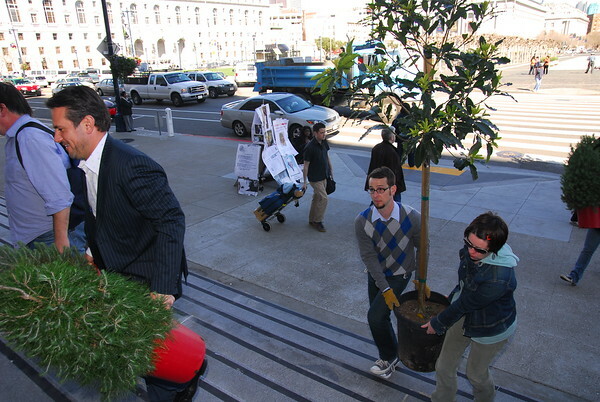 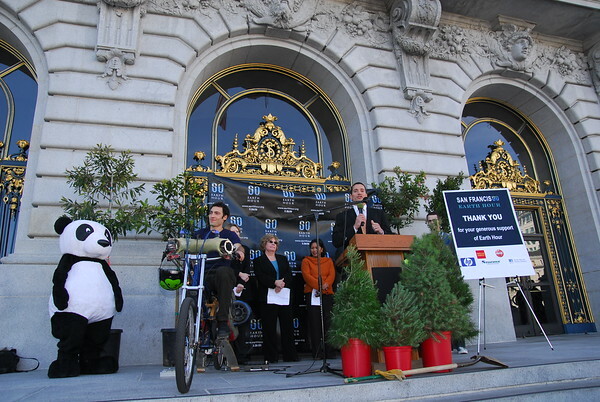 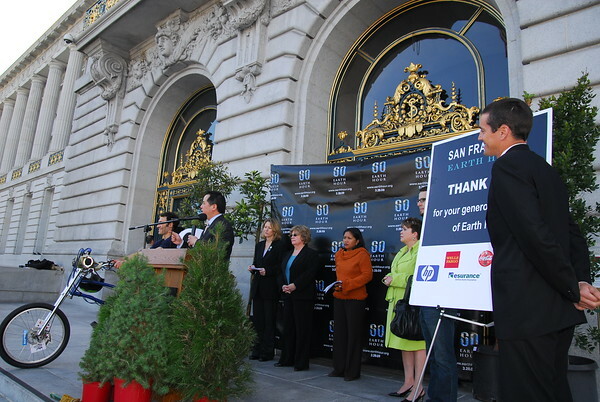 The official San Francisco Press Conference for Earth Hour in the city. 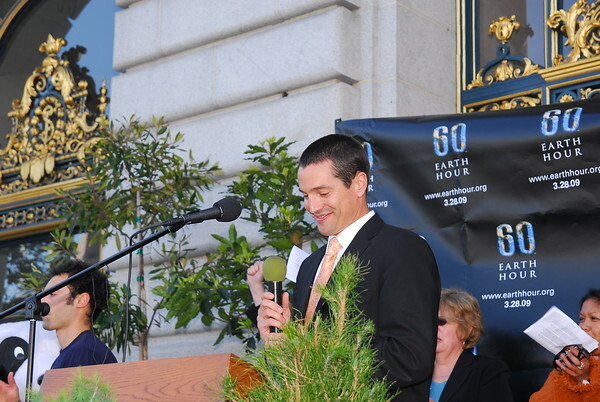 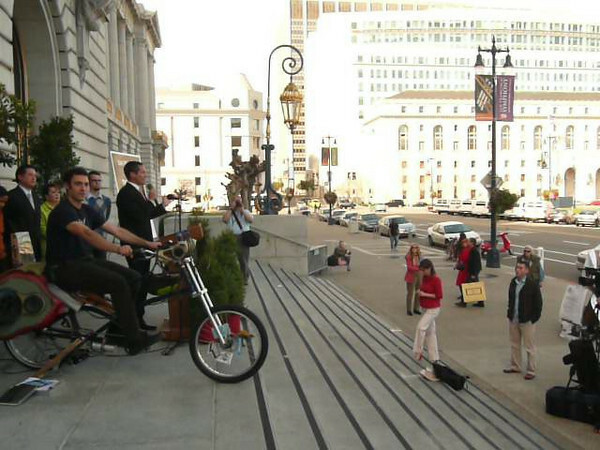 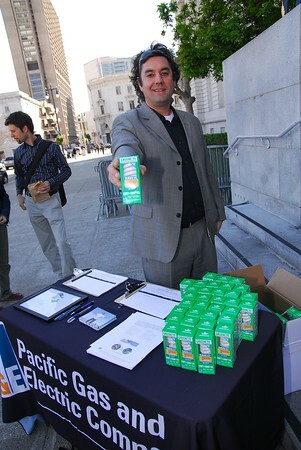 Wade Crowfoot, Director of Climate Initiatives for Mayor Newsom lead the charge introducing the speakers. 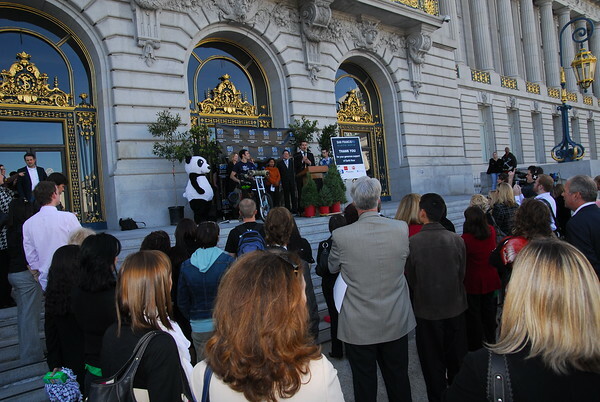 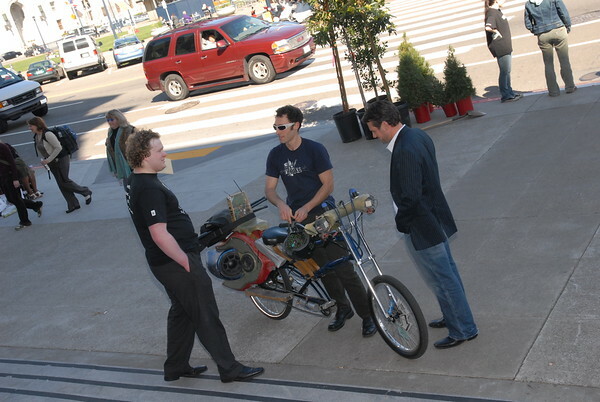 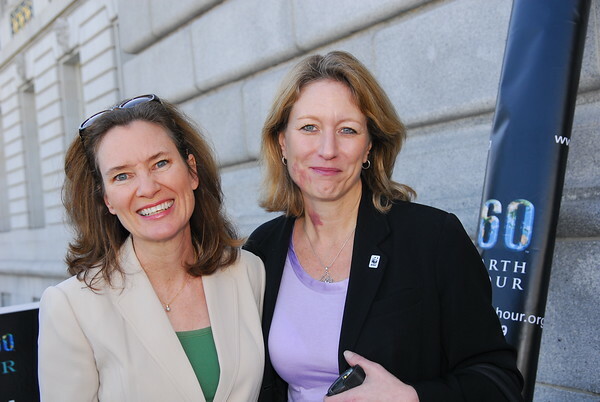 The senior VP of World Wildlife Fund was there to announce the city's actions. 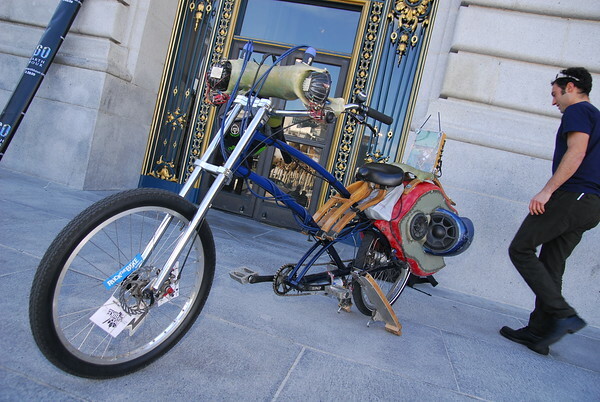 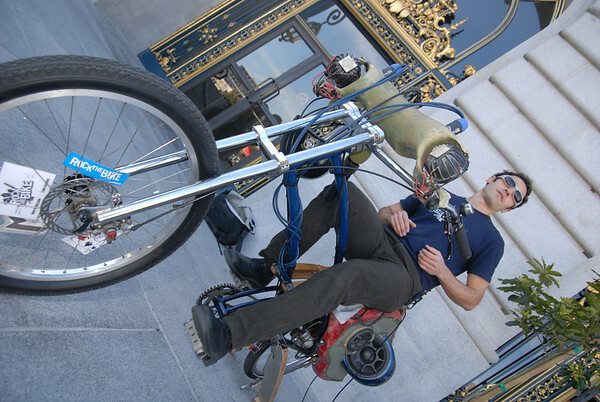 Rock the Bike's, DJ Fossil Fool was powering the whole PA system for the microphone and speaker with his modified bicycle. 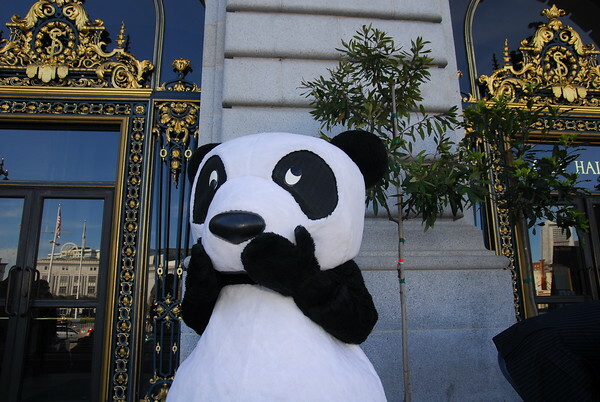 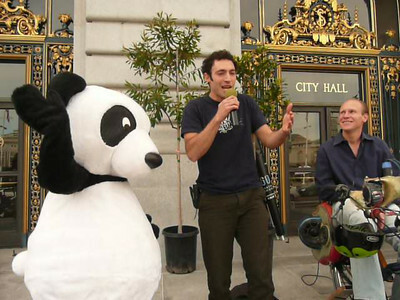 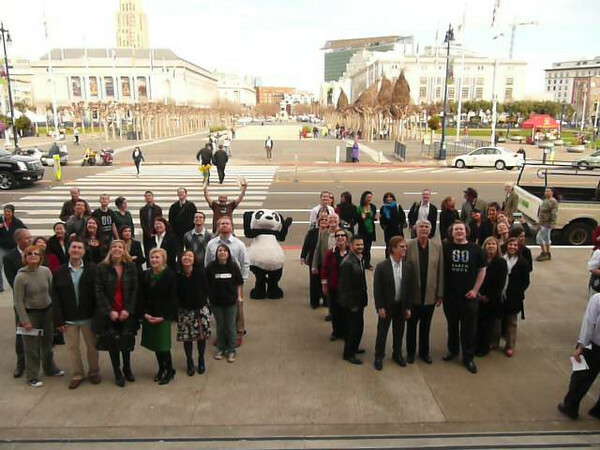 The WWF panda was out stirring up the crowd and we even got everyone together for a group 60 photo in front of City Hall. 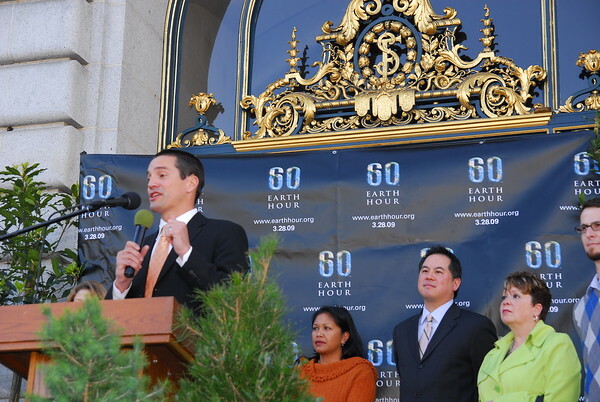 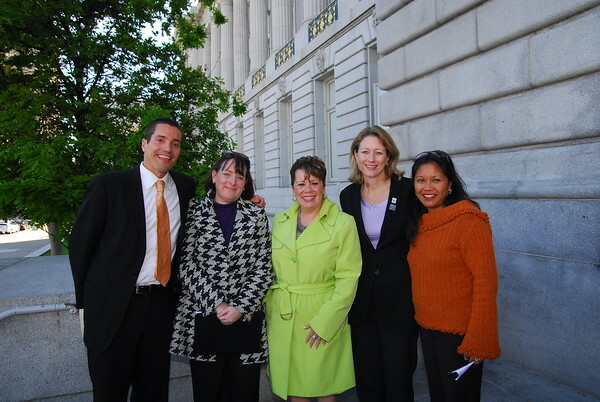 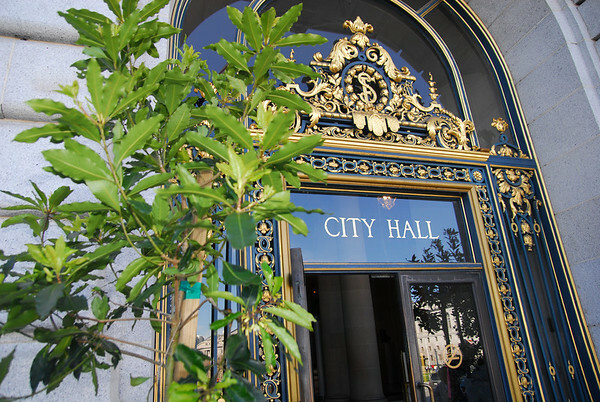 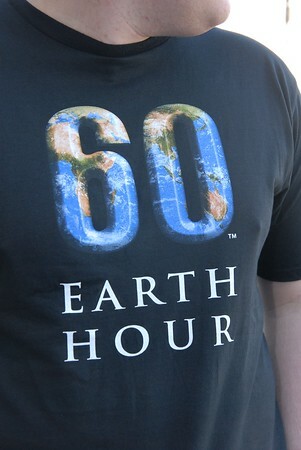 Log into the Earth Hour SF website for more details on how you can get involved.